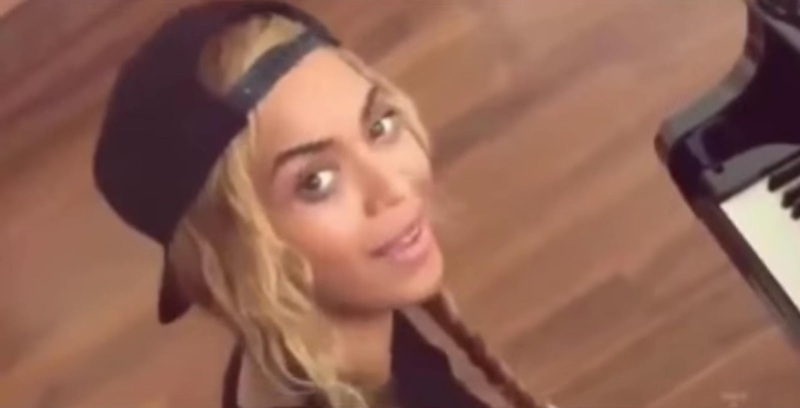 In honor of their seventh wedding anniversary, Beyoncé celebrates her love for Jay Z on a new song called “Die With You,” which debuted Saturday on Jay Z’s new streaming service TIDAL. Wearing a Michael Jackson Thriller T-shirt and braids under a backwards cap, she performs the stripped-down song while playing the piano. At the end, she gets up from the piano and screams, “Yeah!” Thank you,” before the video cuts to the camera man, who turns out to be none other than Jay Z.